Worn against Nott'm Forest (a) 26/12, Tottenham (h) 5/1 and Rapid Vienna (a) 4/12. 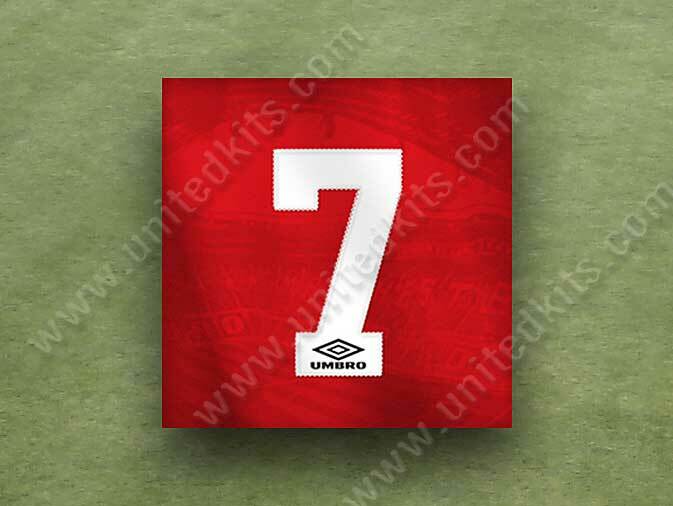 Move your mouse over the kit to reveal the European variant. 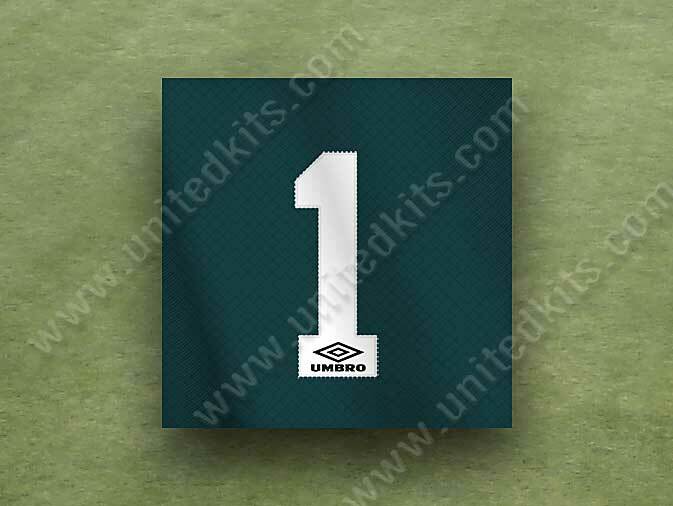 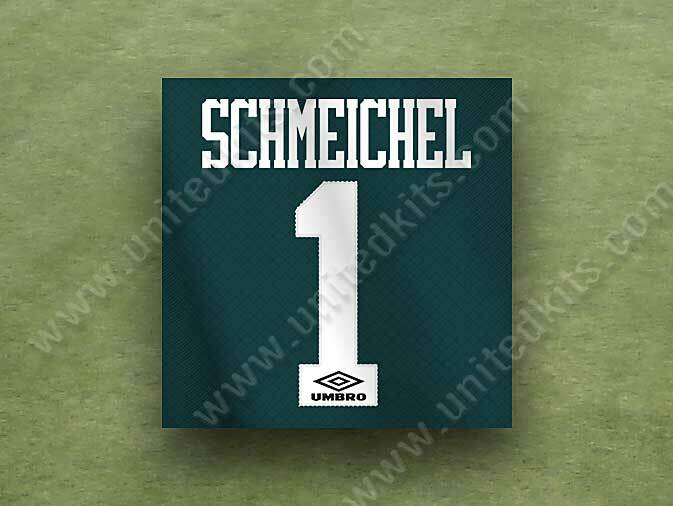 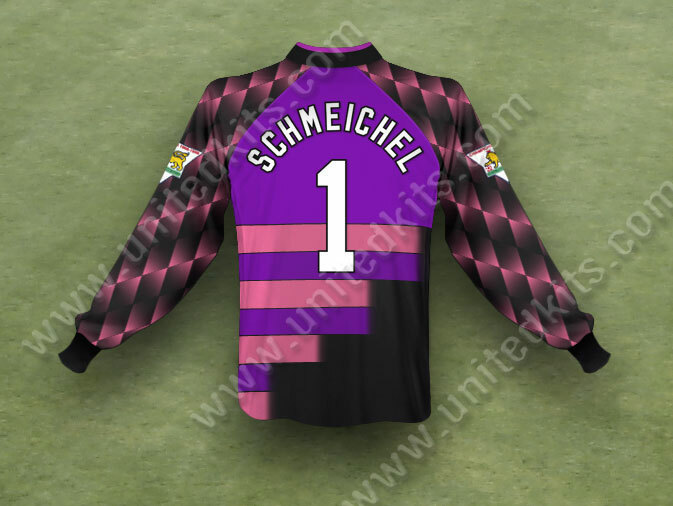 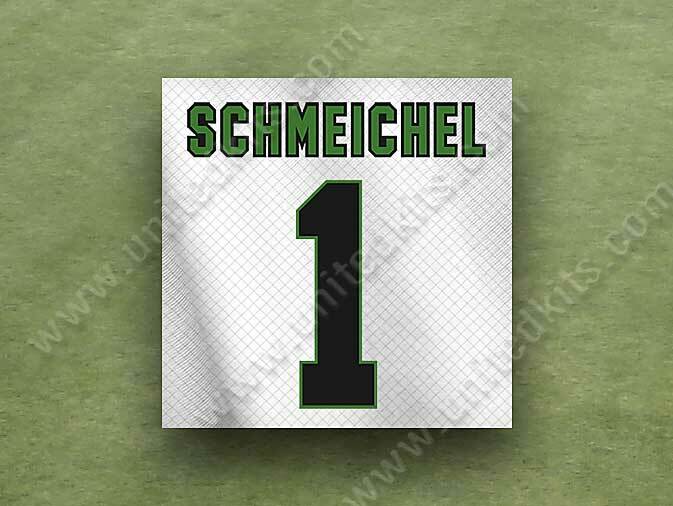 Worn by Peter Scmeichel at Coventry (16/5). 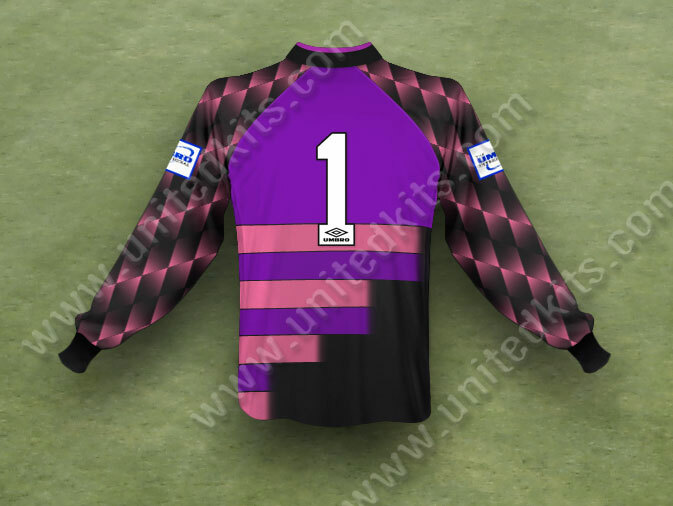 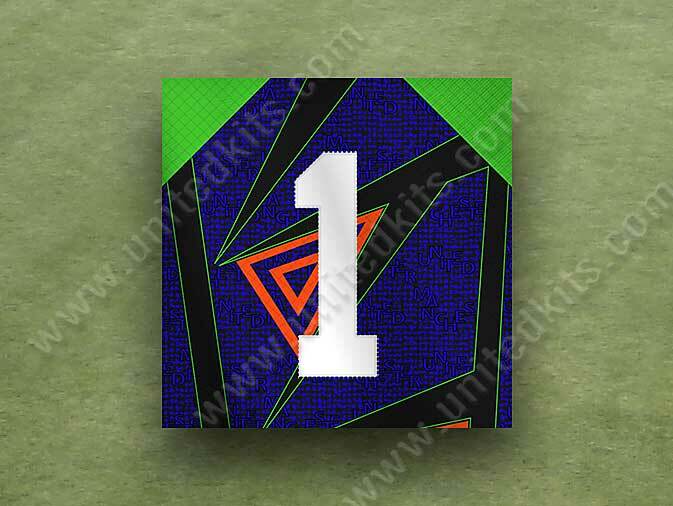 Move your cursor over the images to reveal the kit worn by Raimond van der Gouw in the 2nd half. 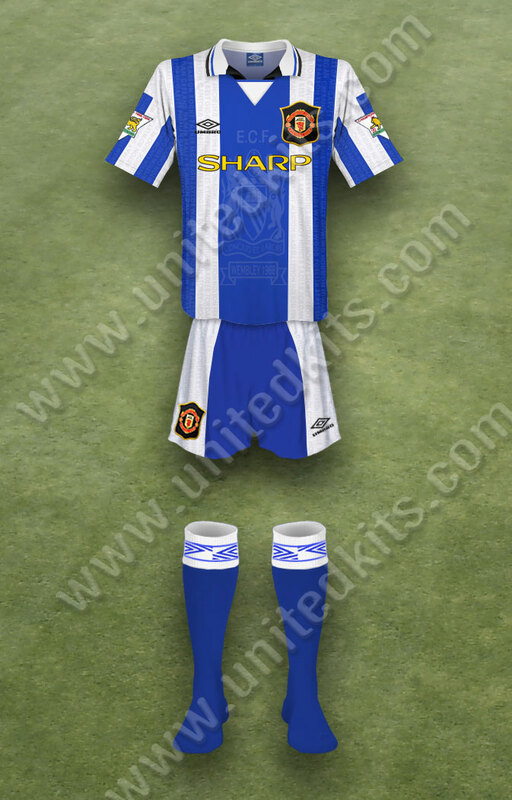 United beat Newcastle 4-0 in the Charity Shield in Eric Cantona's first match as captain, having succeeded Steve Bruce who left the club on a free. The side made a sluggish start to their defence of the Premiership title, highlighted by successive away defeats in October at Newcastle (0-5) and Southampton (3-6). A 2-1 victory over Southampton on February 1st took them to the top of the table, where they remained for the rest of the season. 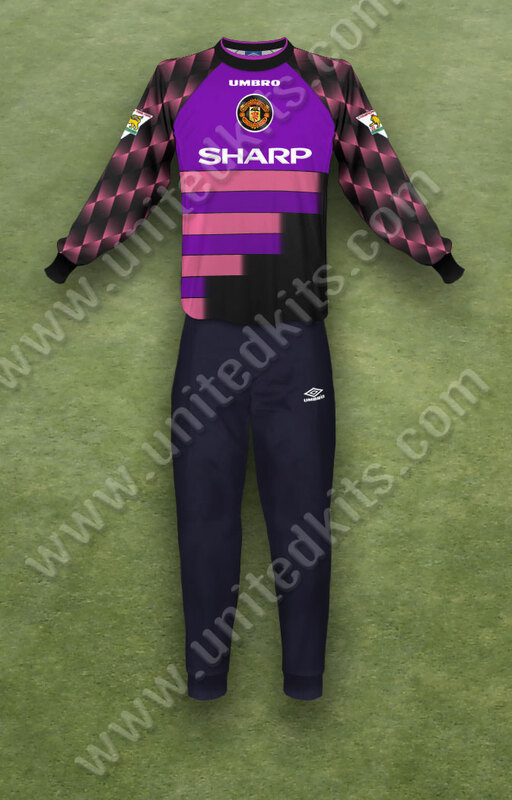 United were already Champions by the time Newcastle managed a 0-0 draw at Old Trafford on May 8th, and finished the season some seven points ahead of their Geordie rivals. 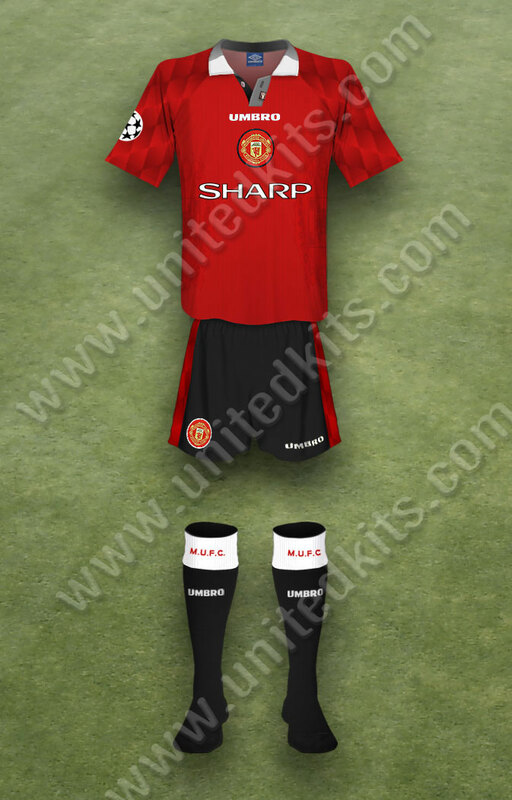 Cantona announced his decision to retire just weeks later. 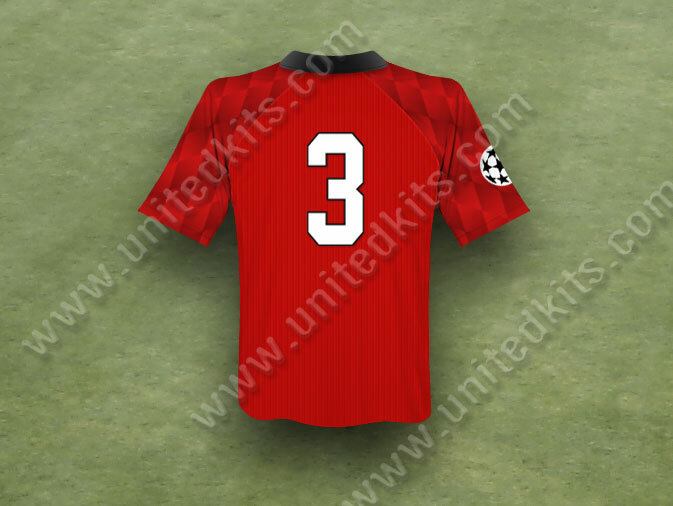 Despite losing their unbeaten home record in European football to Fenerbahce in October, United progressed to the Champions League semi finals for the first time since 1968/69. 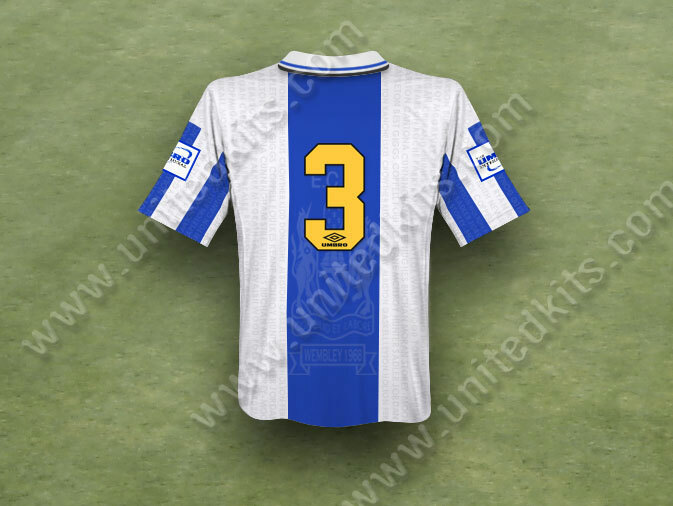 The first leg against Borussia Dortmund was tight, the Germans scoring the only goal in the last fifteen minutes. 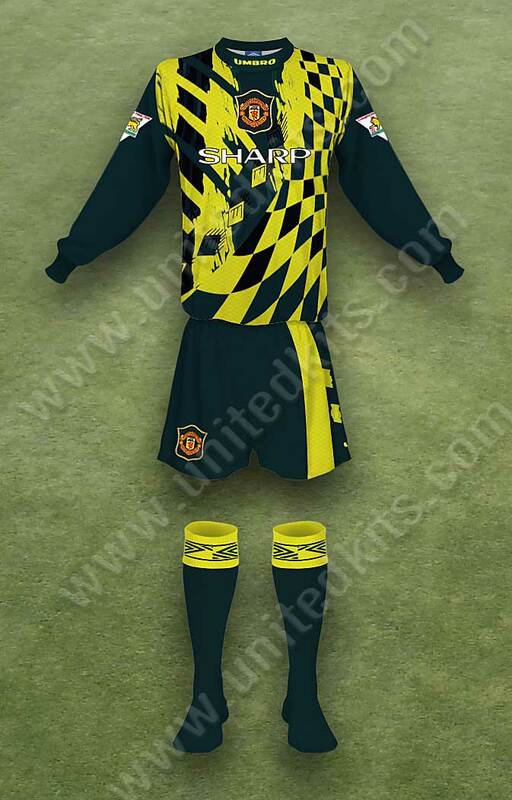 United conceded an 8th minute goal in the second leg at Old Trafford and were unable to break down the determined Dortmund defence. 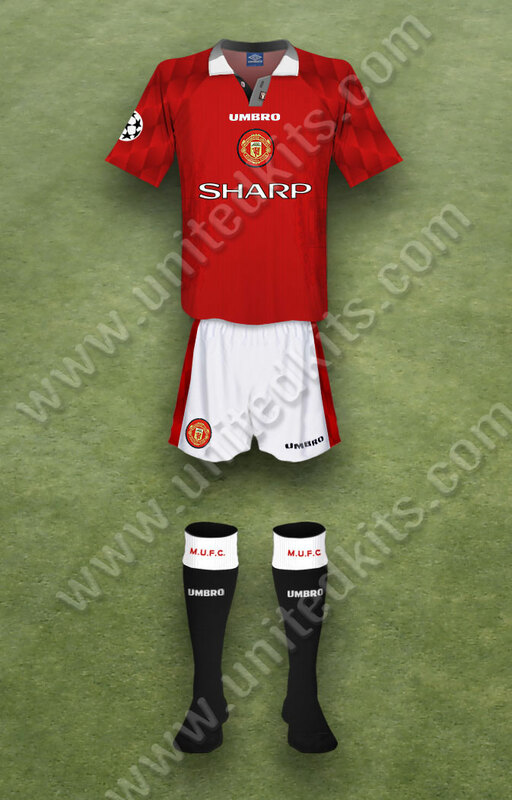 David Beckham was named the PFA Young Player of the Year. 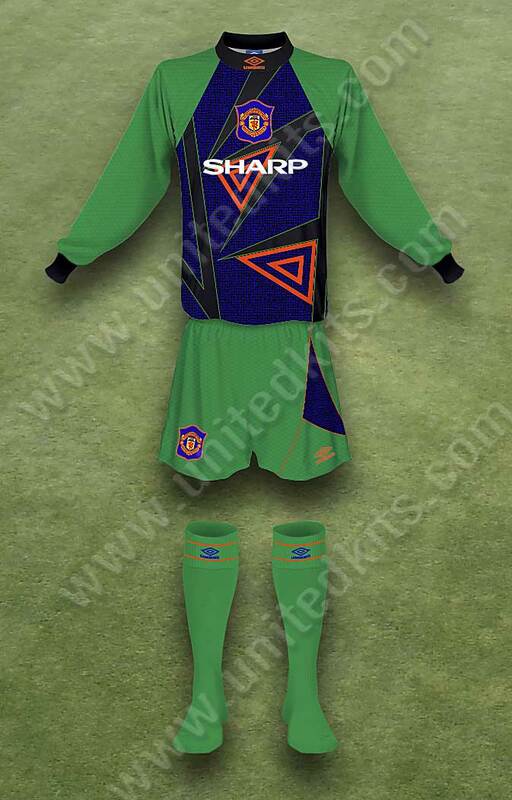 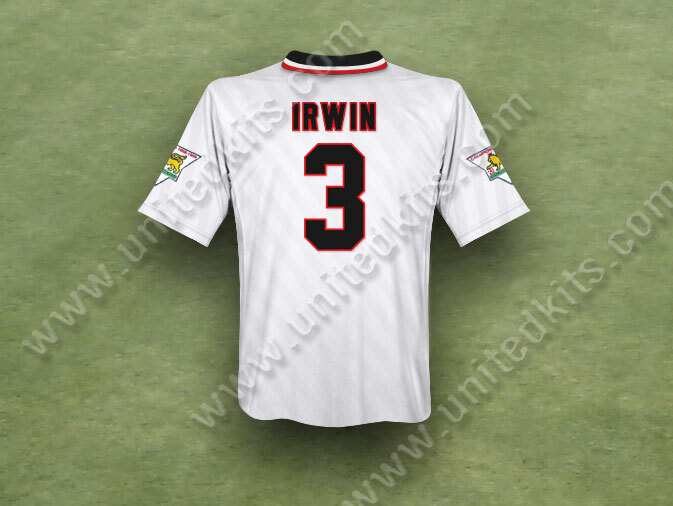 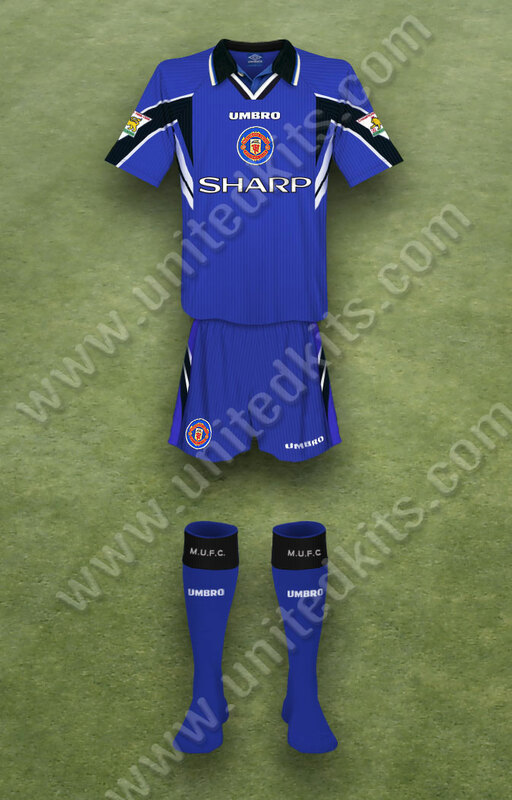 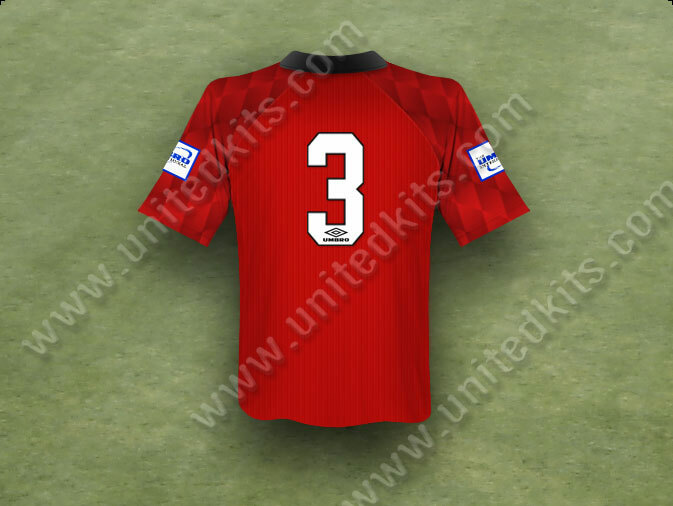 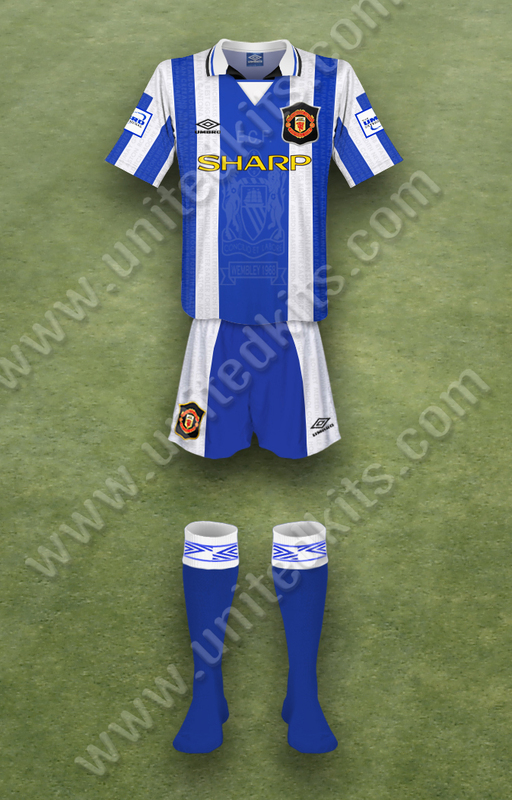 United had three new kits for 1996/97, although the third kit was not released until late autumn, no doubt to capitalise on replica sales pre Christmas. In the Champions' League group match at Juventus on September 11th, neither the outfield nor goalkeeper shirts featured the players' names. 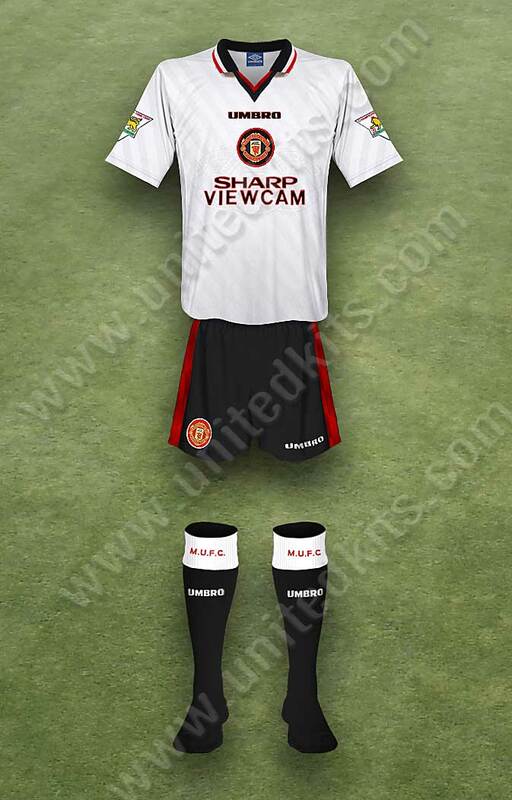 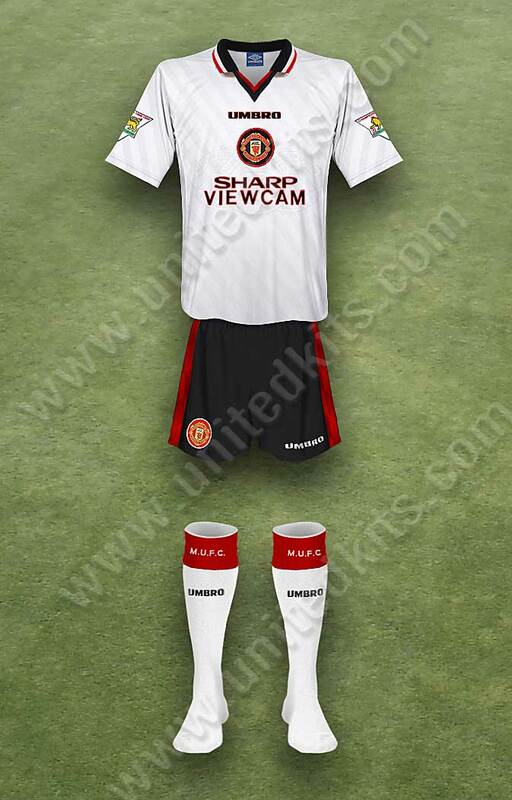 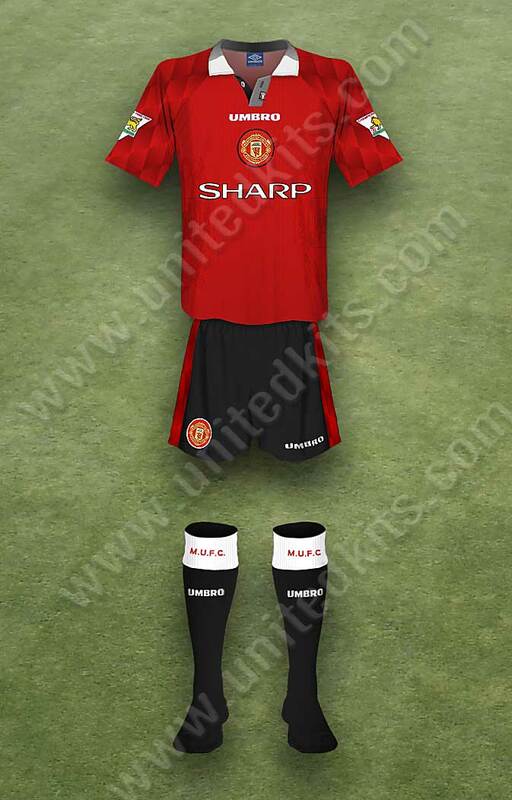 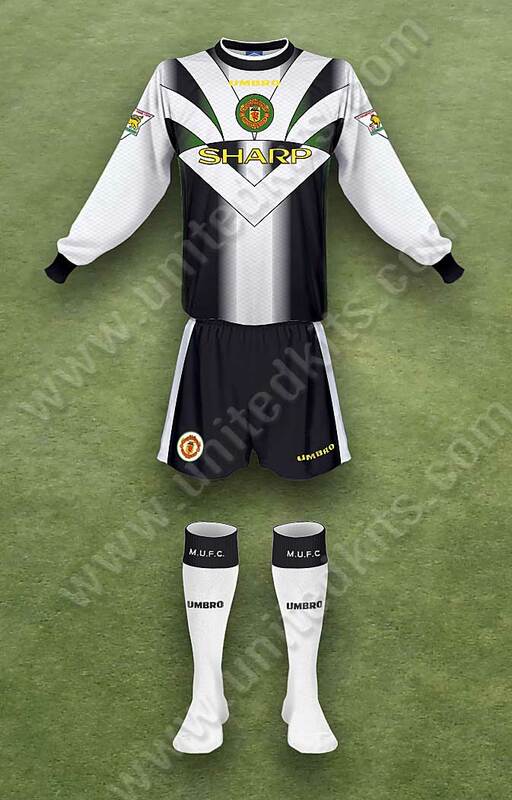 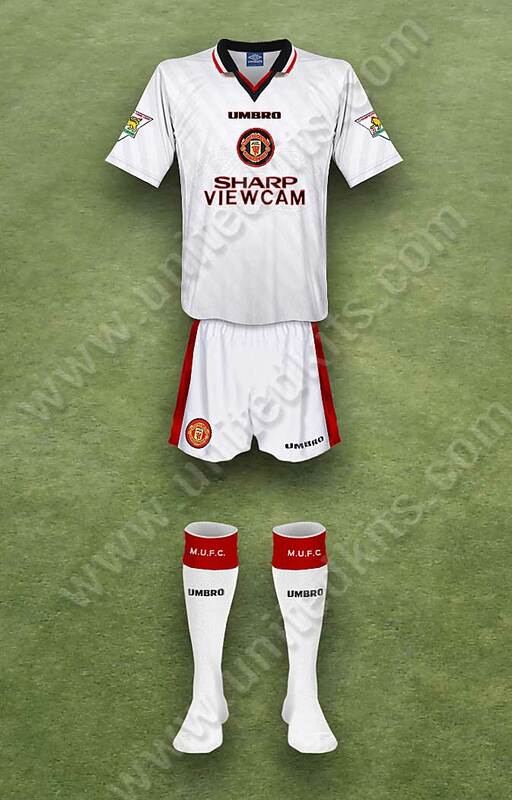 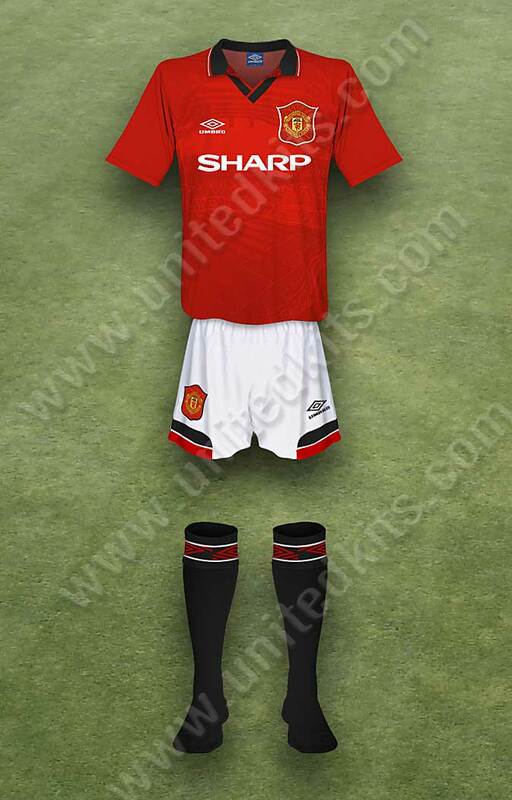 United continued to wear black shorts as part of their home kit to avoid colour clashes, as well as white socks. 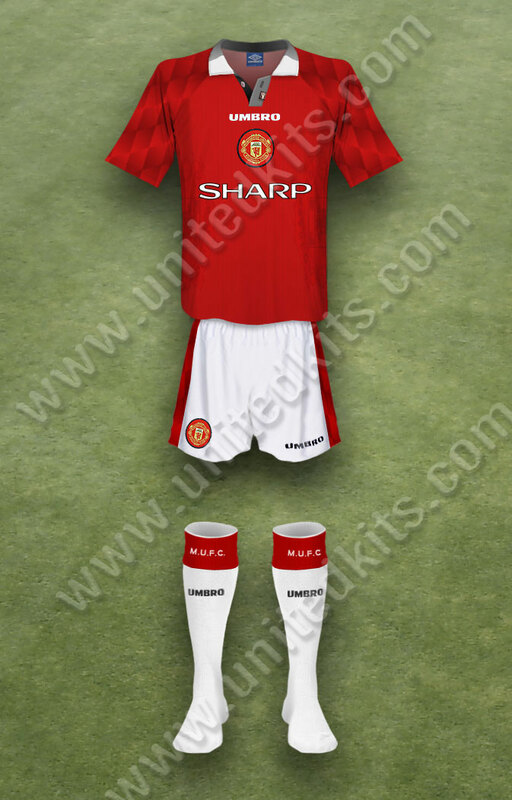 There were also variants of the change kit.